Dax Shepard is an American comedian, actor, writer and director. He is probably best known for his portrayal as Crosby Braverman in the NBC comedy Parenthood. In 2012, he wrote, directed, and starred in the movie Hit & Run which received mixed reviews. Dax Shepard married actress Kristen Bell in 2013. The couple has so far starred in two movies together, When in Rome (2010) and Hit & Run (2012). 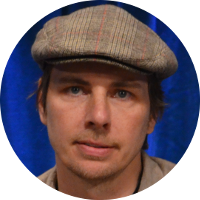 Dax Shepard’s famous kin are through his mother’s French/Canadian roots. He is related to Canada’s Trudeau family which includes Pierre Trudeau, 15th Prime Minister of Canada, and Justin Trudeau, 23rd Prime Minister of Canada. Fellow celebrities in his family tree include actress Paget Brewster, singer Madonna, actor Kelsey Grammer, singer Meghan Trainor, actor Chris Pratt, and singer Justin Bieber.